This week has been a little off kilter for me because it started off with a mandatory training session that forced me to get up extra early on a Monday morning and drive an hour to the training center when my morning commute is usually 10 minutes. That was the worst, of course, but they did compensate for that misery a bit by serving us a delicious breakfast before the training started. I can be very forgiving when bacon, eggs, french toast, and fresh fruit are involved, lol. The training did eat up a lot of my time though so I spent most of the rest of the week playing catch up. Not fun but by the time I left on Friday, I was back on track, so yay! Not too much else has been going on. My son finished all of his testing last week and will graduate from elementary school this Friday. I can’t believe I’m going to have a middle schooler on my hands. Where does the time go? I still remember his first day of preschool! I had a pretty good reading week too. I finally (two weeks late!) 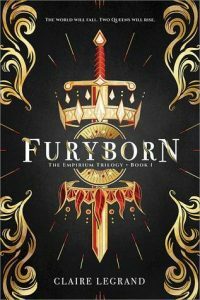 finished the last of my May ARCs, Furyborn, and will review that this week. I have some mixed feelings about it but enjoyed it overall. I also finished one of my June ARCs and got started on another. And thanks to my longer commute this week, I also managed to finish A Man Called Ove, which had been on my TBR for two years. 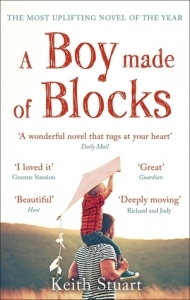 This week will be mostly devoted to my June ARCs but I am hoping to get through A Boy Made of Blocks, which is another that has been on my TBR for too long. 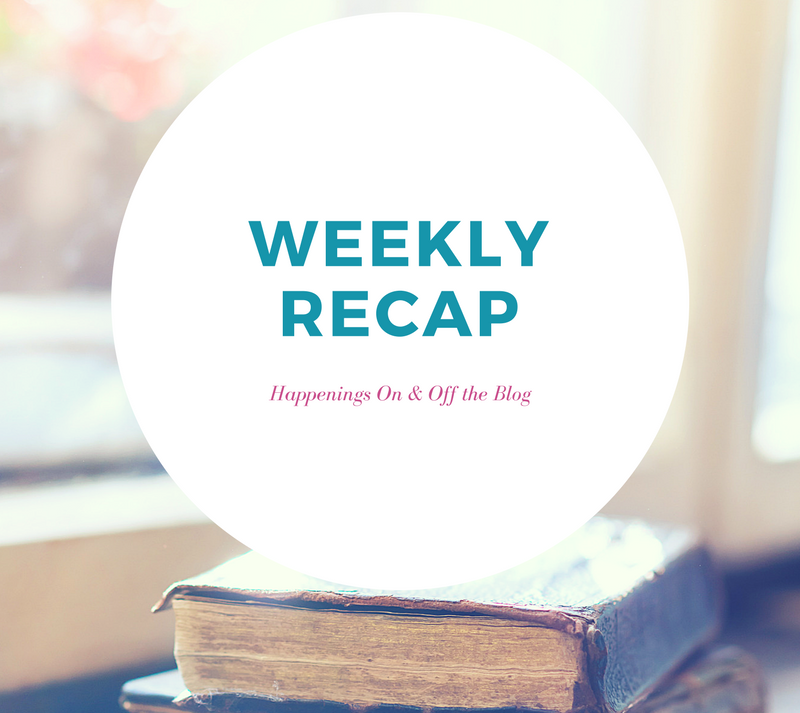 I also apologize for lagging behind on my blog hopping and replying to comments. I knew I would fall behind with my work schedule but had planned to get caught up on Saturday since there was a 90% chance of stormy weather all day that day. When I woke up though, the sun was shining and it was gorgeous outside and I ended up spending nearly all day and evening outside instead of at my computer. I hope to get mostly caught up today though since the rain that missed us yesterday is supposed to be here all day today. 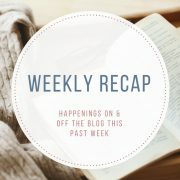 [7 Jun] DISCUSSION:  Challenge Fatigue – Can One Have Too Many Reading Challenges? Middle school! It’s so scary to think of, right? My oldest is finishing up 6th grade this month and I still can’t believe how fast it has gone. My youngest starts preschool in the fall. Sigh. 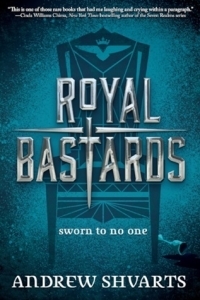 I hope you enjoy Royal Bastards! I remember liking that one but haven’t picked up the sequel yet. It really is scary to think about. Time is just flying by way too quickly! This weather is killing me! I thought we would finally have a nice weekend. Yesterday was beautiful and I spent most of the day out, and then today we planned on going hiking – but now it’s raining! Oh, well. 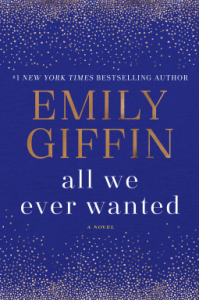 Can’t wait to hear your thoughts on Emily Giffin’s new book. Right? I really hate the weather pattern that we seem to be stuck in right now. I’d much rather have the rain during the week and the sun on the weekends. The middle school years were actually my favorite! (Although elementary school was pretty sweet.) Enjoy them before high school😐 It was a mixture of good and awful! I really hope that he’ll love middle school. I worry about things like bullying. He usually makes friends pretty easily so fingers crossed that continues. That’s too bad about the training, but hey, at least there was good food involved 🙂 I hope you have a less busy week coming up! Right? Good food can always make things better, lol. Congrats on your son!!! And I hope next week will be less busy so that you won’t have to run just to catch up! At least your longer commute was good for your TBR (that’s the only silver lining for me as well). You HAVE to take advantage of nice weather. I think it’s mandatory. I need to get to the Meg Leder book. Awww, your baby is going to middle school. Such a milestone. I really can’t wait to start Meg Leder’s book. I’m kind of rushing through the one I’m reading now so that I can get to it quicker, lol. I still have to get Royal Bastards. 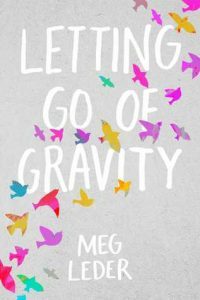 Letting Go of gravity looks cute- nice cover- and I love the look of A Study in treason! Right? Good food can improve almost every situation, lol. I feel a good breakfast can make up for a lot lol. But a long commute still stinks. 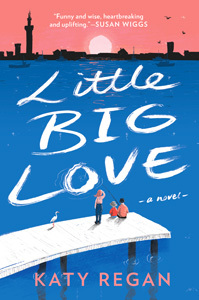 Hope you enjoy the new Emily Giffin. Have a great week! I’m so excited for the Emily Giffin book. Somehow I still haven’t tried one of hers yet even though I always hear such good things about them. I hope you loved A Man Called Ove. I listened, and it was one of my favorites. 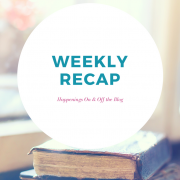 You had a busy week so don’t be hard on yourself about the blog and community. We are not going anywhere. At least they fed you. Hope this week is easier 🙂 Enjoy your new books. 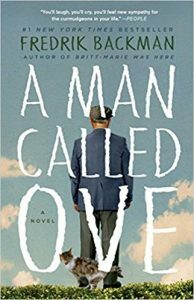 I really liked A Man Called Ove and can’t wait to read more of Backman’s books. I understand about training getting in the way of work that needs to get done. I hope it was at least a worthwhile training. I have mandatory training two days next week, and it always throws me off a bit. Congratulations to your son being done with school soon! Sending you a hug as he makes this transition! 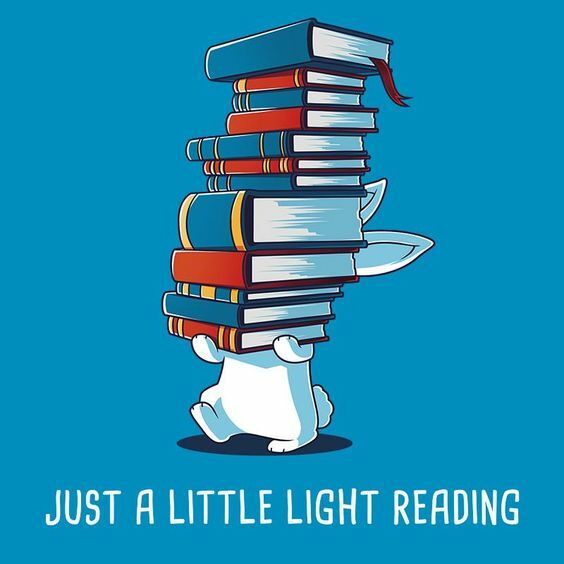 I hope you are enjoying your current reads. 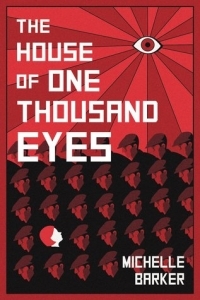 I love the cover of A Study in Treason. All We Ever Wanted is on my TBR pile. Have a great week, Suzanne! Haha, I love that random. Sorry that you had to wake up early, but at least the weather has been nice. I hope your son likes middle school. Have a good week! Enjoy the sunshine. 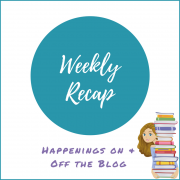 Oh gosh, I’m a bit behind on blog hopping too. It’s been a crazy weekend! Right? Food makes almost everything better, even training, lol. I can honestly forgive just about anything if food is involved. My little 1 is about to go to first grade and the other Kinder. I don’t even understand how we got to this point. It makes me so sad. I’ll be a crying mess when it comes time for middle school. I fully expect that I will be sobbing that first day of middle school, especially since I still remember the first day of elementary school like it was yesterday. Our babies are growing up! 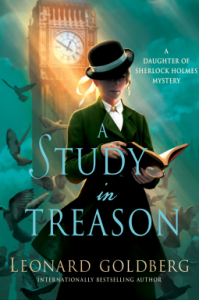 Oh my gosh, I am in love with the cover for A study in treason! Heh, I count training sessions totally worth it depending on how good the food — and esp the coffee is lol Congrats to your little guy graduating!! so cute! Oh yes, can’t forget the coffee. Thankfully they had great coffee too, lol. Ahh Suzanne! Your description of breakfast has left me hungry! Ha ha. I’m glad they fed you well though and that you managed to catch up by the end of the week. I’m very excited about Furyborn so I hope that I will enjoy it. I will probably avoid your review until afterwards! My reading schedule is so packed at the moment but I’m almost on track there so I hope that this will round out to be a good month for me reading wise. I’m soooo far behind on the blogging side still – but I’m clawing my way back! I’ll get there! I’ll be curious to see what you think of Furyborn. My reaction was positive overall but a bit mixed at the same time, lol.